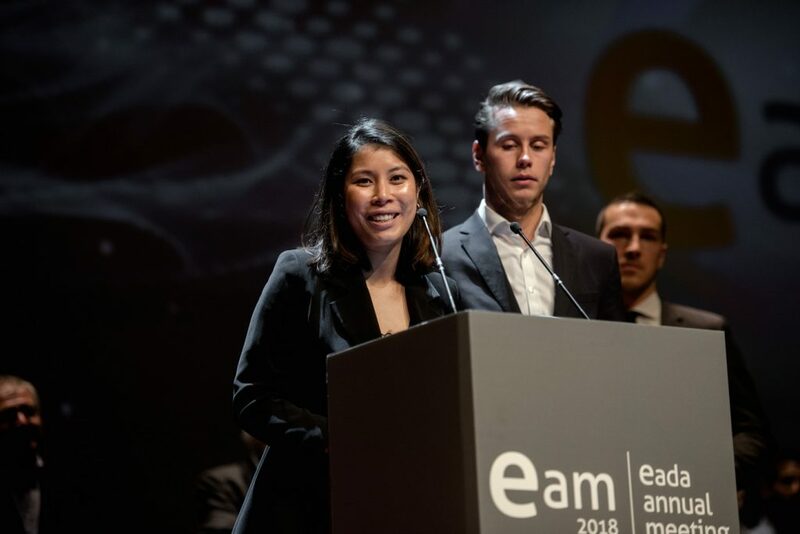 The theme of this year’s EAM was “Learning transformation”, aligning well with the award presented for Best Final Project for International Masters. 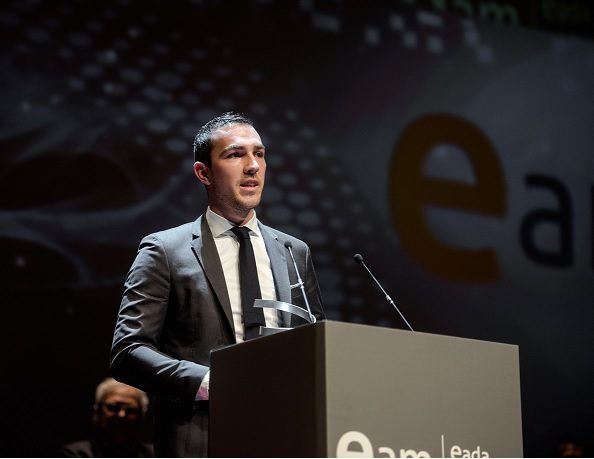 On November 15, the EADA Annual Meeting (EAM) –including the official closing ceremony for the 2017-2018 academic year– was held at the Teatre Nacional de Catalunya in Barcelona. During the event, experts from a cross section of industries shared their reflections on the new VUCA world and its impact on business today, and awards were given out to participants from the class of 2018 from EADA’s International Masters and MBA programmes as well as executive education. The Best Final Project Award went to “ABLE: improving your quality of life, one step at a time”, completed by International Master in Management participants Adrián Díaz (Spain), Nicolás Ibáñez (Chile), Chris Juchem (Germany), Hector Pérez (Spain), Lars Jacob Sjaastad (Norway) and Charlotte Vo (Vietnam/Norway). The project was part of the Market Assessment Program (MAP), a programme with the mission of bringing research based sci-tech projects to the market. This programme is carried out through a collaboration with ACCIÓ and the EADA Entrepreneurship Centre. Charlotte sharing her experience with ABLE at the EADA Annual Meeting. While all of EADA final projects are practical in nature, allowing students to apply what they have learned in real companies, the ABLE project was particularly challenging due to the nature of the biotech field and the amount of data that needed to be collected. 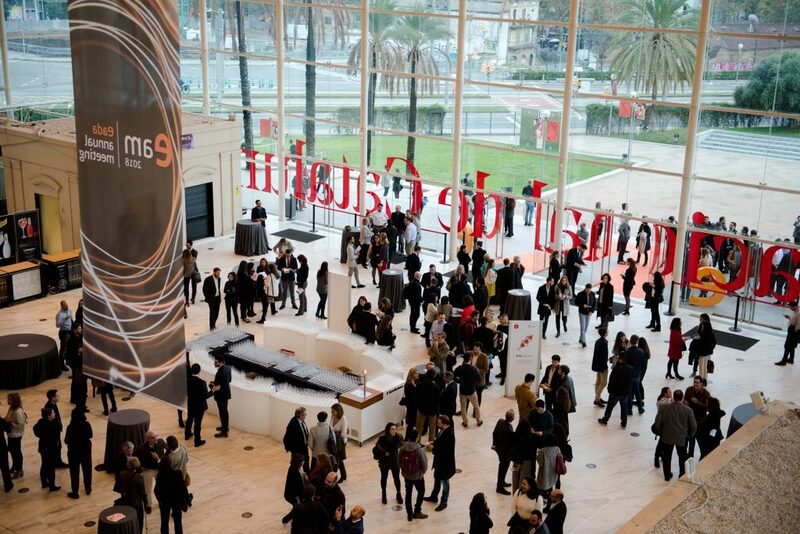 The frenetic pace at which change takes place in this area combined with the wide range of stakeholders involved meant that the MiM participants had their work cut out for them. Chris accepting the award at the EAM. Three of the 5 group members were able to attend the award ceremony in November 2018, where they shared a bit about their experience and expressed special thanks to the ABLE entrepreneurs and the project tutor.